Tomasz Pietrzykowski – dr hab., adjunct professor at the Chair of Legal Theory and Philosophy of Law at the Faculty of Law of the University of Silesia in Katowice, Poland. 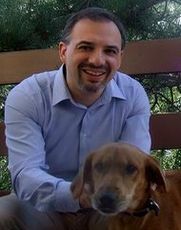 Since 2009 Deputy-Chairman of the Polish National Committee on the Ethical Review of Animal Experimentation. Since 2010 Deputy-Chairman of the Bioethics Committee of the Medical University of Silesia. Former head of the governmental administration at the Silesian region (2005-2007); practicing lawyer, since 1999 associated with one of the Polish leading law firms.